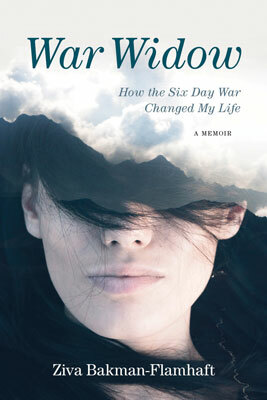 War Widow: How The Six Day War Changed My Life is a story that could have developed with similar characters anywhere in the world. The plot is unique but its themes are universal. The narrative begins in Poland and Lithuania, and moves along to Palestine, Israel, and the United States, depicting a bygone period of nation building, with its intense love and tragedy, and lives forever changed by conflict and war. It includes astonishing tales of fate and suspense under the watching eyes of the British, who controlled the area from 1922 to1948, and it traces the author’s personal history to the immigration of her family from Eastern Europe to Palestine, and her visits in 2008 and 2010 to her parent’s hometowns in Lithuania and Poland. The book Israel on the Road to Peace is an in-depth study of the effects of Israel’s internal struggles on the Arab-Israeli peace process. 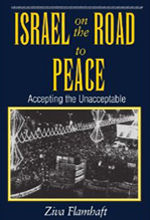 This book examines how Israel's leaders and citizens had reacted to the various proposals in the post-Camp David era, including the 1982 Reagan plan, the 1988 Shultz initiative, the 1989 Mubarak and Baker plans, and the Oslo agreement.